The Pink Elephant Challenge #47 and a Sneak Peek! Over at the Pink Elephant, they are hosting a sketch challenge this week. I couldn't resist playing along with some scraps I have leftover from a "secret" project (a new catalog swap- more on that to come!). 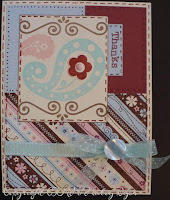 For my card, I used the new Topstitch paper pack and A Paisley stamp set (both available 1/1/10). 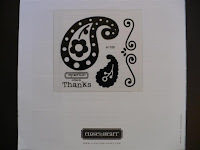 (At left is a peek at the adorable A Paisley stamp set, which now sports the price of only $7.95!). The colors of the Topstitch paper pack are Vineyard Berry, Baby Pink, Heavenly Blue, Chocolate, and Colonial White. I had fun "stitching" with my Vineyard Berry marker. I may have gone a little overboard, but it was fun to do. I embellished my card with a Baby Pink brad, Heavenly Blue designer ribbon, and a Heavenly Blue button. BTW, to get the Vineyard Berry flower in the middle of the Heavenly Blue large paisley, I just stamped the center of the paisley on scrap paper in Vineyard Berry, cut it out, and adhered it to the card front. Also, the colors match much better IRL! 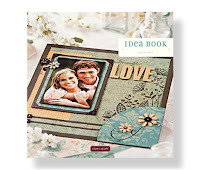 If you haven't gotten your advance copy of the Spring 2010 Close To My Heart Idea Book, let me hook you up! You do NOT want to miss out. Each time I ask how can they get any better? But they do! Local gals, let's get together soon. We went back to church for the 11:00 service because Ansley sang a solo! She sang the first verse of the processional (Once in royal David's city...) a capella, and as Father Yeary said, it was the voice of an angel. You may have noticed in my profile that I claim to be an avid reader, yet have never posted anything here about reading (except for my reading endorsement class). I truly LOVE to read! 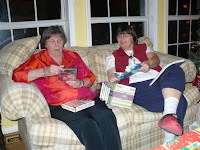 I read for pleasure; it is one of the ways that I decompress and destress. I love how a book can take me places I've never been or would never go. I just finished reading the 6th Women's Murder Mystery (The 6th Target) by James Patterson. I like this series because the main character, Lindsay Boxer, is a "chick in charge." Because she is a San Francisco police officer, each book has several cases in them. These are not all "happily ever after" and seem pretty real. Who is your favorite author? I really need some new stuff to read! My little one is sick w/the stomach bug now. :( Thankfully no one was sick on Christmas though! I don't feel great, but I think it's just from taking care of her. Hope you had a lovely Christmas! I hope to post a recap later. Ours was wonderful. Warmest wishes for a very merry Christmas! We hope that all of our online friends have a beautiful holiday surrounded by family and friends. Take time to remember the true meaning of Christmas. We say a special prayer for members of our Armed Forces who are not with their families this holiday season. Their service does not go unnoticed nor unappreciated! May God watch over and bless you all. Merry Christmas! I’m wondering what Santa brought just for me. 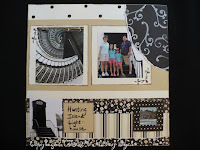 Could it be cardstock or inkpads or lace? Or some stamps, I said, with a smile on my face. He replied, "You know, good girls should be in their beds." I'll see you next year!" We're all feeling well now! Hopefully we haven't sent the bug anywhere and have just squashed it here. I'm still praying that none of us manifest any more symptoms! Thanks to everyone for your well wishes! 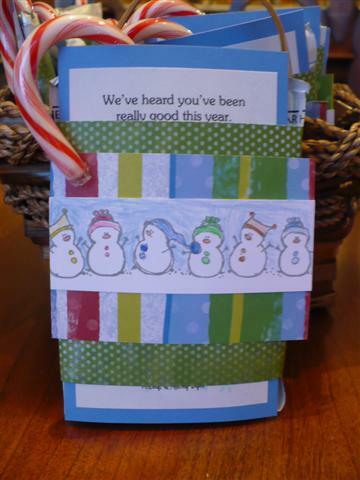 My two little elves and I had fun making these "snowman soup" packets for our friend and the sailors and marines who currently serve with him in Iraq. (He is the husband of my friend & downline, "Chunky Gal.") They were included in a box my students and I sent to him as a class service project. The students wrote letters and drew pictures. I printed the following message and created a tag to tuck into two hot cocoa packets and a candy cane wrapped together with festive paper. The girls (AKA elves) colored each of the adorable snowmen that are on the front. It’s always nice to hear it. Add hot water and sip it slow. This project is so much fun and would make a great little gift for anyone on your list! 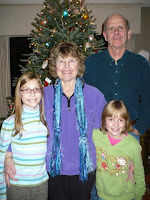 It was so nice to have my family involved in the project. It really is better to give than to receive! The "Gift" That Keeps on Giving? A nasty stomach bug is going around, and my oldest (daughter, not husband) has been hit with it. My plans for the day have changed a bit, so I will get as much done around the house today instead of grocery shopping, etc., as planned. I just hope the rest of us don't get it, though the way it went through my sister's house, I'm afraid we won't be lucky. Please pray we'll all be well by Christmas Eve! Thanks a bunch!!! It would not be the Christmas season without this holiday classic! Have you watched "How the Grinch Stole Christmas" yet this year? 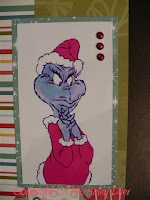 To create this card, I first found a Grinch image online. The one I liked was already in color, so I printed it out on glossy photo paper. Doesn't it match the Jingle paper perfectly?!? That was total luck. 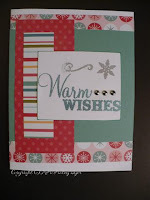 I perused my Originals and Wishes card how-to books and settled on the perfect pattern: "Roundabout" from Wishes. 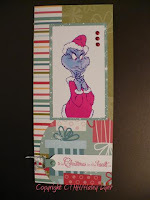 Since I don't have the Close To My Heart stamp set that actually includes the Grinch's famous message (Peace on Earth stamp set), I "made do" with the Card Chatter- Christmas stamp set. (You do know what famous message I'm talking about, don't you? The one about Christmas not coming from a store? We had such a lovely dinner last night with our friends, the Maggios. They made scrumptious homemade crab ravioli. Oh my heavens! We all had so much fun! 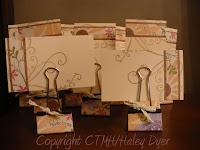 These photo binder clips are fun and easy to make! 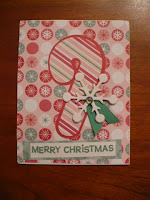 I used 2" binder clips and covered them with pretty paper from the Bella paper pack. (My pieces measure just a smidge under 2"x3.25", but measure yours to fit.) 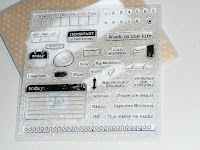 After folding the paper around the clip to get gentle guidelines, I laid the pieces flat on my workspace and stamped "precious" from my Playful Flourishes stamp set. I mean, who doesn't have a photo of something or someone precious they'd like to display? 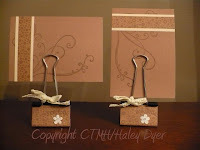 The pair of Desert Sand/Chocolate photo holders are embellished with some tiny paper flowers and sparkles. They're for our dance teachers (Hi Stephanie & Shelley! ), but I left them at home by accident Thursday. :( They'll have to get theirs on the 12th day of Christmas instead of early! The second set also uses the Bella paper pack, but I had fun with floral patterns instead of the animal print. I made these for the nine lovely fifth grade teachers I teach with. They are such great ladies, and I wanted to give them a little something-something for Christmas. Theirs are accented with a little sparkle before "precious" (kind of looks like a bullet accenting the word) and of course the Colonial White crocheted ribbon. 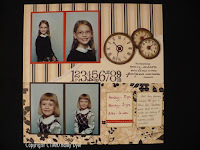 Another thing that I love about this project is that you can use either a vertical or horizontal photo. (My card stock base measures 3.5"x5"; I have found in the past that 4"x6" is just too heavy for clips this size.) Just turn the top piece the way you like it. This morning, the dog didn't really let me sleep in, but at least I got to bed early last night and slept well. We are going to have such a fun weekend, so stay tuned for a recap later. Today is our last day of school before Christmas! Yesterday was wild so I can't wait to see what today brings! 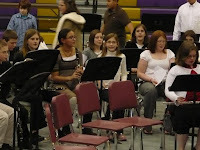 (Yesterday was my class party, this morning is Macey's, and Ansley's is this afternoon.) When I got up this morning, I was thrilled to think that this is my last day (for a while) of being a slave to my alarm clock. We have a fun weekend planned. 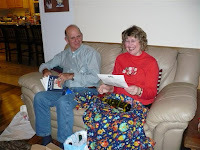 I am going to get my Christmas cards finished and mailed and hopefully also get all the presents wrapped. How are you doing on getting your Christmas "chores" completed? I LOVE this time of year! 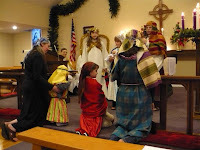 Here's a peek at the girls after Sunday night's Advent Lessons & Carols service. It's not too late to get a gift certificate to give to someone special! 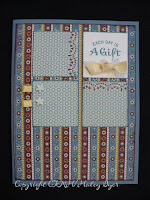 Here is a card I made recently to present the gift certificate in style. It is based on the Wishes pattern, Lower Layers (turned 90 degrees). 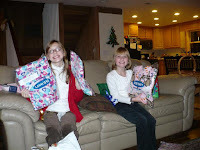 I used my Evergreen and December Word Puzzle stamp sets and the Jingle paper pack. 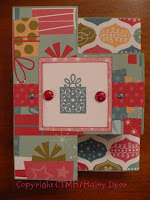 My group of swappers and I used the Twitterpated paper pack with the December stamp of the month, Notice the Details. (My card is the round one at the bottom left.) You need to see these in person to appreciate all the details! 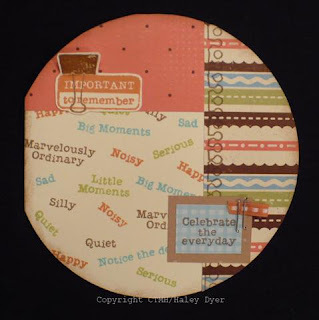 Carla cut the acorn circle out of the B&T paper, then adhered a circle Window Charm to the image. She did an amazing job cutting the spiral paper edge to look like it's really been ripped out of a notebook! Camy's Crystal Blue and Sweet Leaf card really does celebrate the everyday. Can you see Taralyn's scoring details on her adorable little 3"x3" card? 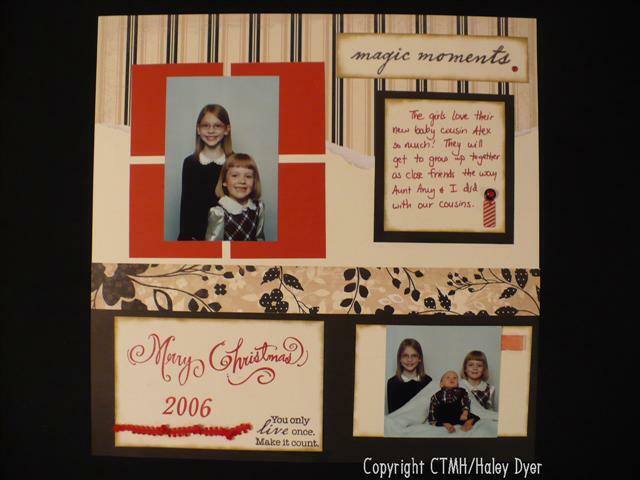 Chris' stamped border (square card at right) is so cute! 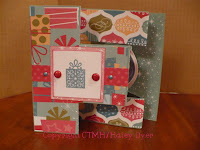 Finally, do you see how Tonya stamped the "C" on B&T and on cardstock for her beautiful celebrate card? 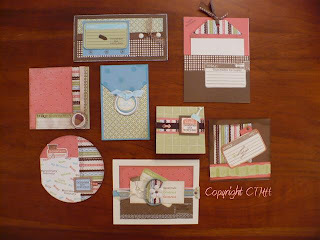 "Felicity" CTMH Special: National Papercrafting Month Begins Early! 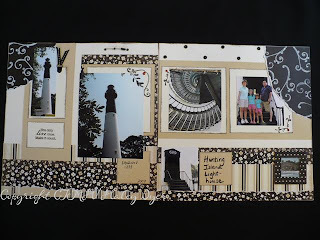 January is National Papercrafting Month, but the celebration is starting today! *Place an order of $125 or more in full-retail priced Close To My Heart products. Limit of one FREE kit per order. The campaign also has enticing opportunities for hostesses and new Consultants. Hostesses get the package FREE with a Home Gathering sales total of $400 or more, and New Consultants who join Close To My Heart between January 1–31 will receive the package FREE in their New Consultant Kit. Shipping/handling and tax may apply. Ask me how you can get yours, now through January 31! Yesterday was the only day that we didn't have to go anywhere. It was so nice to be home, not have to rush, and get a few things done around the house. We did have fun keeping my nephews for a few hours. 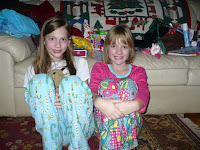 Here the kids are in their Christmas jammies getting ready to watch "The Polar Express." 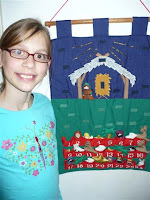 Tonight, both girls read a lesson for our church's annual "Advent Lessons and Carols" service. They did a beautiful job, and the service itself was incredibly beautiful. It is such a nice way to prepare for the Christmas season and to remember what it's all about. So what that I still have cards to finish, gifts to buy, gifts to wrap, and so much more! I totally stamplifted this card from my friend Sarah. I thought it was beautiful in its simplicity. Go check out her blog if you haven't before, because she is one talented lady! 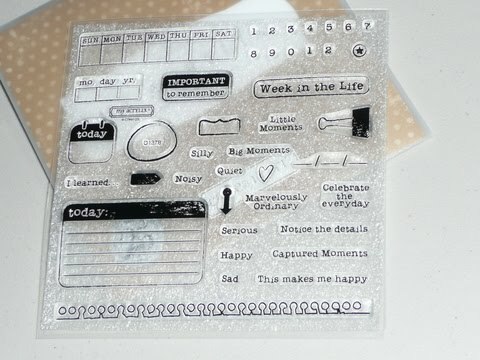 I did personalize my version just a teeny bit with the Snow Flurries stamp set. 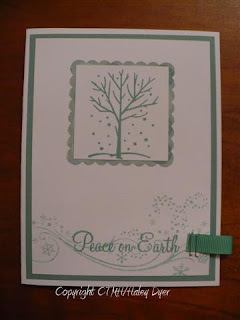 My card uses my Four Seasons and Snow Flurries stamp sets, White Daisy card stock, Juniper card stock and ink, Jingle creative basics paper pack (which includes the Juniper ribbon), and a stapler. My square scalloped punch is from Marvy Uchida (I think). I will be making more of these, and may add a touch of glitter to the snow. You can't go wrong with a little bling, can you? Here is the card stretched open. 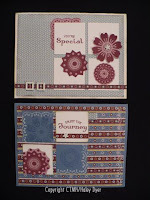 I will probably place some white card stock on that center Tulip polka dot space for a message. The ornament is supposed to spin as you open it, but mine needs a little work. Not bad for a first try, though, if I do say so myself. ;) Thanks, DQ, for the lesson! Tonight is my final class of my 3rd and final reading endorsement course. This course has been a TON of work. I just hope at this point everything is up to par and I will be D-O-N-E. (And yes, Brian, D for "done" is fine by me, especially since this is basically a pass/fail kind of thing anyway!) The good news is that I will be a reading specialist (nope, no more moola in that). The better news is that I will have enough credits for recertification, and I don't renew again until 2013. (In GA, teacher certification is good for five years, and you have to earn the equivalent of 100 hours of course work every five years.) Doin' the happy dance about that! Fortunately, my sweet husband will pick up the girls from school and his mom is taking Miss A to her dance class. Have I told you lately how much I love my job? Friday a kid was sent home with lice; Monday, another kid threw up- on the carpet of course- so I am a bit frightened of what today will bring. Although, since I am a teacher, it's hard to scare me. No, I truly do love my job, but there are days when you just have to shake your head. I should have started writing a book looong ago! Okay, thanks for letting me vent. Enjoy whatever you're doing today. If life hands you lemons, be sure to make lemonade (or margaritas)! A little celebrating may be in order tonight after class! Here are mine so far. For some days it was really hard to choose only one photo, and for other days, it's been hard to come up with a photo. Great challenge! 12/5 Let it snow! We had a lovely snow shower- our first of the season and very early for our area. 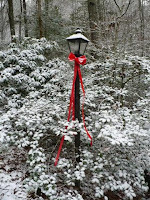 Here is one of my driveway lamposts all decked out for the holidays. 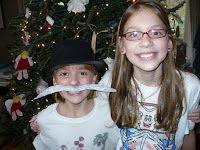 12/6 Goofy Girls: "Mason" the detective with the moustache courtesy of Big Sis. 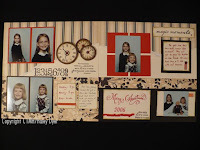 Here's a great idea for what to do with those holiday cards, letters, and photos that you want to keep but don't know how. 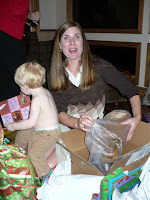 I have a basket full of old Christmas photos we've received. I've thought about trying to do a scrapbook page of each family and adding to it each year, but haven't ever managed to do that. What about decorated 6x9 envelopes with holes punched in the side and book rings to hold them together? You could get really fancy with these- or not. Or what about page protectors in a 3-ring binder? You could always use cardstock to make the pages stiff so that they don't flop around. If they sent a holiday newsletter, it would be easy to display it on the page, and you could just keep adding to their page each year. Ooh, one of our 9"x9" albums would be lovely used this way! Okay, this is starting to sound like a fun project! Do you already do something like this? If so, please share! Is this post sparking any other fun thoughts of how to corral but preserve those special holiday greetings? The weather here is definitely feeling like winter (with a high chance of our first snow tonight! ), so I had to do something to warm up! This layout is actually the same as the Sweet Home workshop layout (Will's Baptism here), but I used the Tinkerin' paper pack. Doesn't it totally change the look and feel of the layout? Since I had so many photos, I decided to crop the four of the girls in the water together, which really focuses on the girls interacting with each other (what this one is all about!). 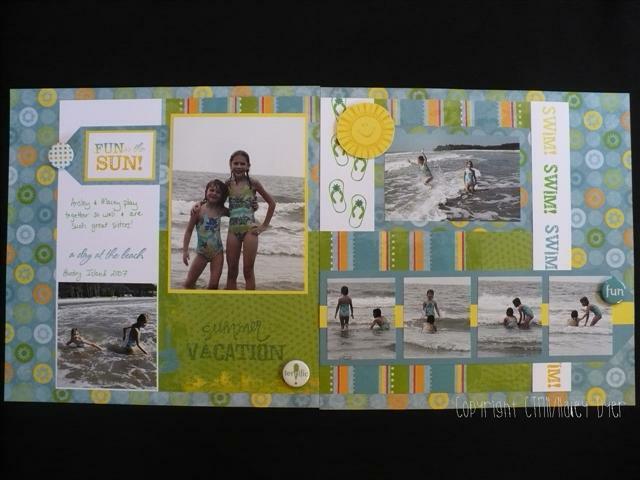 I then put the photos on a strip of Twilight card stock with a stripe of Sunny Yellow running through it. 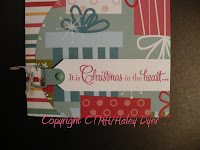 I just cut the corners to make a tag shape, and then echoed that in my title block. Aren't the little Badge Buttons fun? My August Word Puzzle stamp set (retiring 12/31/09) provided the perfect sentiments and images to complement my layout. 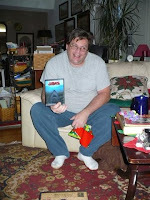 Also, I'd like to wish my Uncle Bob, who is also my Godfather, a very happy birthday today! 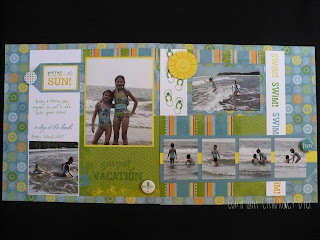 The weather is crummy here, but these pictures take me to summertime, the beach, warm weather, and happy memories! 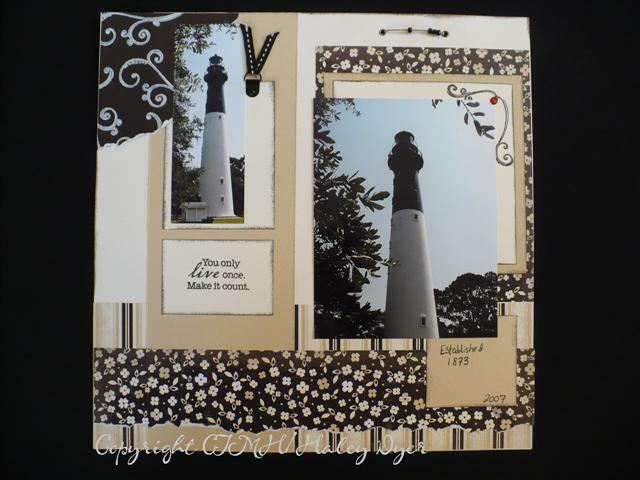 This layout, using the Silhouette papers, showcases some of my favorite photos of the lighthouse at Hunting Island State Park (SC). We went camping there for several years but were unable to go up in the lighthouse (closed for renovations). Finally, when we went in 2007, we were able to climb to the top. The iron staircase inside is incredibly beautiful to me. This layout will go in our "Places We Go" series. My circle card is based on the Wishes sketch, Box It Off and uses the Twitterpated paper pack (Colonial White, Chocolate, Sorbet, Sweet Leaf, and Crystal Blue.) I random stamped the sentiments that I thought went well with the saying "Celebrate the everyday"- something I am really trying to live by. After stamping "important to remember" on a scrap of Colonial White, I overstamped the binder clip. To help it look more 3-D, I cover the clip part with Liquid Glass. Also, I only adhered the saying to the card, then folded the clip part up a bit for a little bit more 3-D effect. Enjoy the hop and the great ideas posted online! If you'd like to order your own December stamp of the month, Notice the Details, feel free to let me know! You can buy it outright or create your own discount. Here are the December stamp of the month participants (in order) to help you hop. You may remember my recent post of the layout of Will's baptism, made at my Sweet Home workshop. Here are the cards we made at that workshop. I love how we used the backside of the acrylix stamps to create the background behind each medallion. 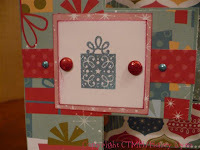 What a cool trick that works with any clear, symmetrical stamp! The sentiments (and this this stamp set in general) are incredibly versatile! Did you know that you can still order any of the Workshop on the Go kits? I plan to hold my final class of the year, featuring the Jingle kit, after Christmas. 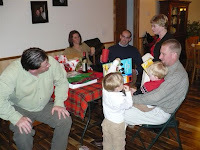 These particular photos are from Christmas 2006, my nephew's very first one! My sister and I got my girls and her son matching outfits, and we couldn't resist a photo shoot. 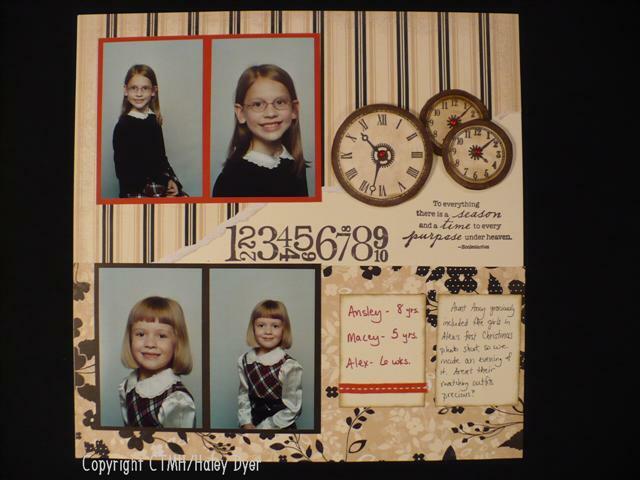 I love the timelessness of the Silhouette papers with these photos! The pop of Cranberry was just what we needed for these pictures. 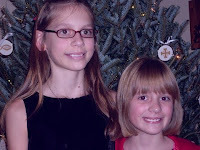 I didn't want to focus so much on Christmas as on the sweetness of the cousins together. This layout was part of a swap, and I wish I could give credit to the person who made it. 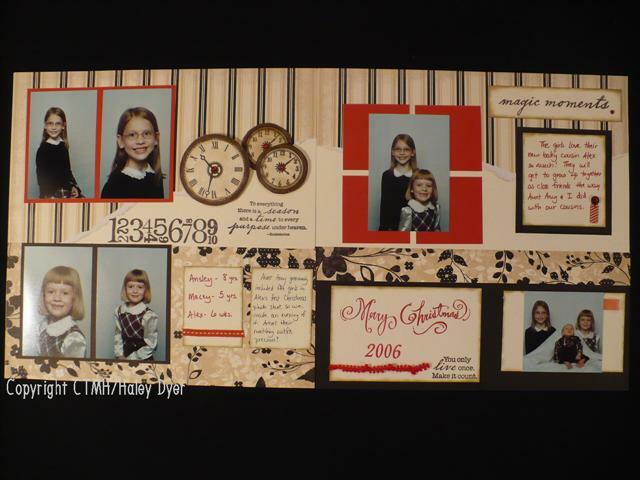 All I had to do was add my photos, my journaling, and some Cranberry ribbon to finish it off. 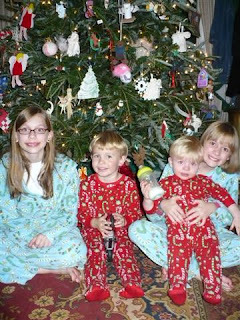 Children at Christmas are definitely magic moments!